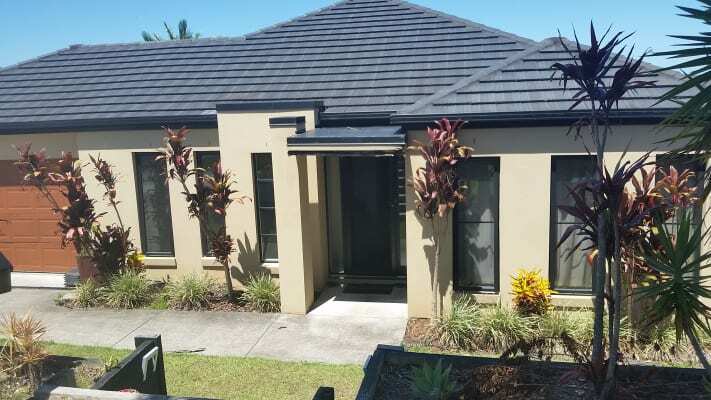 One bedroom available in a large 4 bedroom house in Upper Coomera. Located in Highland Reserve Estate which is a family friendly neighborhood that has tennis courts, large lake to walk around, kids playground and a couple of shops. There are 2 available bedrooms to choose from at the back of the house. One has an east facing window that catches the morning sunrays. The main bathroom is situated between the three back bedrooms and you will share this bathroom with one other female. Room is $160 per week that includes bills. Can be furnished or unfurnished. The house is fairly new and very spacious. It has a fenced yard and double garage that has lots of space for storage. A small dog would be ok but sorry no cats due to allergies! Only two female flatmates are currently in the house, searching for a third. One lady is in her 50's that resides at the back of the house. You will be sharing the main bathroom and living spaces with her. Another lady in her late 30's that resides in the front section of the house. She has the master bedroom with ensuite and the front loungeroom. Would prefer a female thats working. Somebody reliable and respectful. A non-smoker. Thanks for your interest, please message me with information about yourself and i can give you further details of the house and flatmates.